Pack all the basic, plus a few more features that one needs for a GPS-enabled cycling computer. Fast button response, very easy to learn and use. 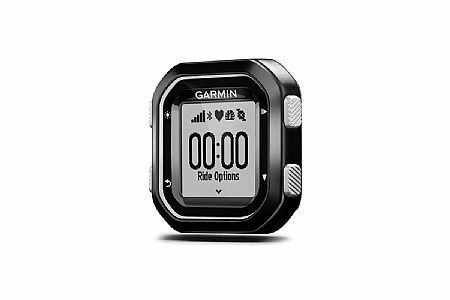 This is a perfect unit for long time cyclists who don't need the plethora of data that bigger Garmin units provide. At 75 I am content doing 30-40 miles between weight workouts. Also, I use my Apple Watch for heart rate, and between these two devices I have all the data that I wantneed. Good GPS unit with surprising amount of functionality in a tiny package! This is a great little GPS unit, it's very compact, simple to use and does everything I need it to do! The other review here was obviously on an early version of the firmware which had quite a lot of issues but Garmin has updated the firmware several times since then and all these issues have been resolved. I have been using it now for 6 months and about 1200 miles and it has worked perfectly. I use it for road cycling and use a Garmin cadence sensor and Wahoo heart rate monitor to monitor my rides and they connect up straight away when the GPS is powered on. This GPS is a good option if you just want a simple device to track your ride, speed, cadence and heart rate but it also has some more sophisticated features such as simple route guidance from preloaded routes with turn prompts and Bluetooth link to your smartphone for Garmin Live track and notifications of incoming text messages or calls. Battery life is a little limited compared to the larger Garmin units but I used it to record a 90 mile ride and the battery died only a couple of miles from the end after being on for a total of 7.5 hours so it's not bad! It does not have the features of the other Garmin units (no barometer or temp sensor, no power meter functionality, no maps) but its a fraction of the price of most other GPS units and overall it has all the features I need for 99% of the cycling that I (and probably most people) typically do. 20 of 24 customers found this review helpful. 1) Activities report as running. 2) Cannot connect to ant cadence sensor. 3) Wipes settings on power down. There is no fix in site, so how Garmin can release this is unreal. Compact, simple interface, speed, cadence, and GPS tracking. I use this when riding around town where I know all the routes, it is great for that and the small size makes it easy to slip in my pocket when I get off my bike.